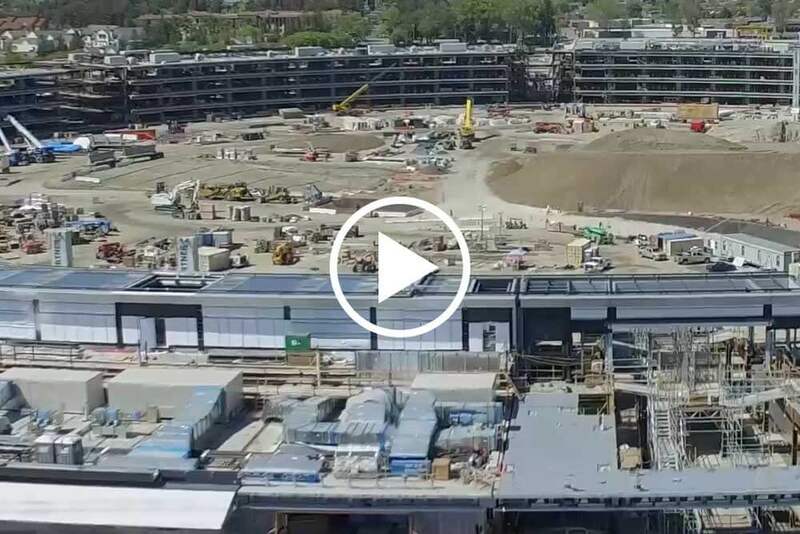 We performed various construction services for Apple’s widely publicized new global headquarters in Cupertino, CA. We were part of the early stages in the construction of the Steve Jobs Theater, a 1,000 seat theater entirely underground to be used for Apple product launches and other news worthy events. We also installed over 2,200,000 sq. ft. of metal deck in the main building that is almost a mile around. 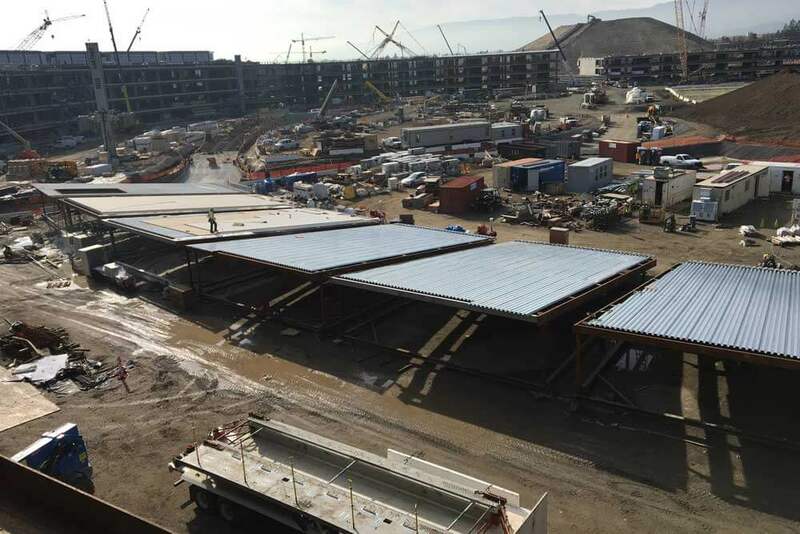 Part of that install was 208 roof panels, measuring roughly 40′ x 80′, that were erected on the ground and crane hoisted onto the roof. The building will house 12,000 employees once complete.